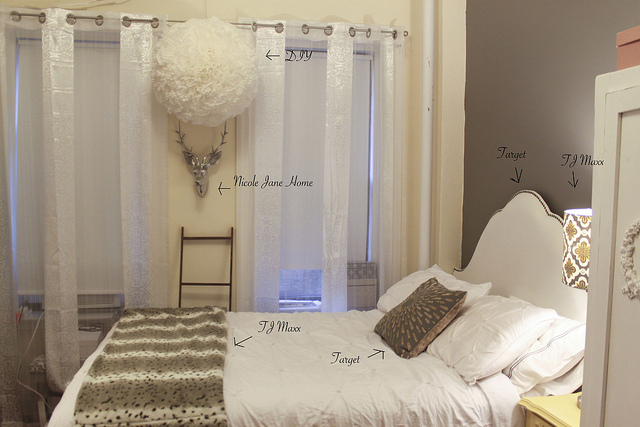 I've been eying the Valencia headboard from Target and then I saw it over on Saucy Glossie. Game Over. I'm thinking this has to happen! I had a feature wall in the bedroom of my last home and I think I would need to do it again to highlight the lines of the headboard (as Lindsey had done above). Beautiful headboard, I love that shape! do it, it's fantastic. that lamp is great too! The color on the wall behind the headboard is great!